Imagine a country full of beautiful people with infectious smiles, twinkling eyes and happy laughter bursting forth and you’ll have a bit of a feeling for the Balinese. A sociable, fun-loving gregarious people, they have a strong sense of community. Although they work long hours for little pay, you would never guess it from the cheerful chattering going on. Bali has lived under a lot of oppression (Dutch colonization and Japanese occupation and more recently threats from the Muslim part of Indonesia) but the residents are seemingly free of bitterness. We asked if the smiles were perhaps masking bad feelings and were told that although they aren’t always happy, they believe the best way to feel better is to smile. They accept life as it is and believe strongly in karma. They have fear, but to dwell on it or feel resentment would be bad karma for them, so they choose not to go there. It was very refreshing to experience a culture that doesn’t hold a grudge! Their culture and society is built on a strong foundation of religious tradition. 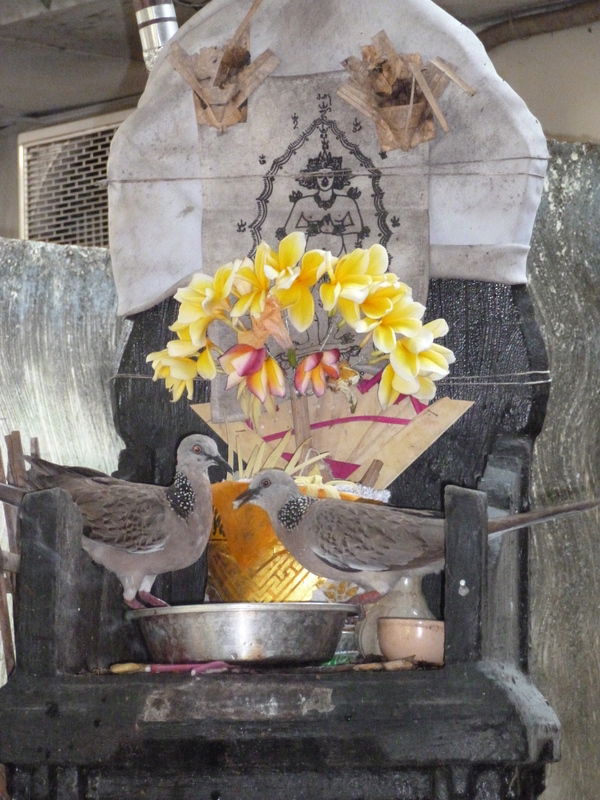 Unlike the rest of Indonesia, the Balinese are mostly Hindu. 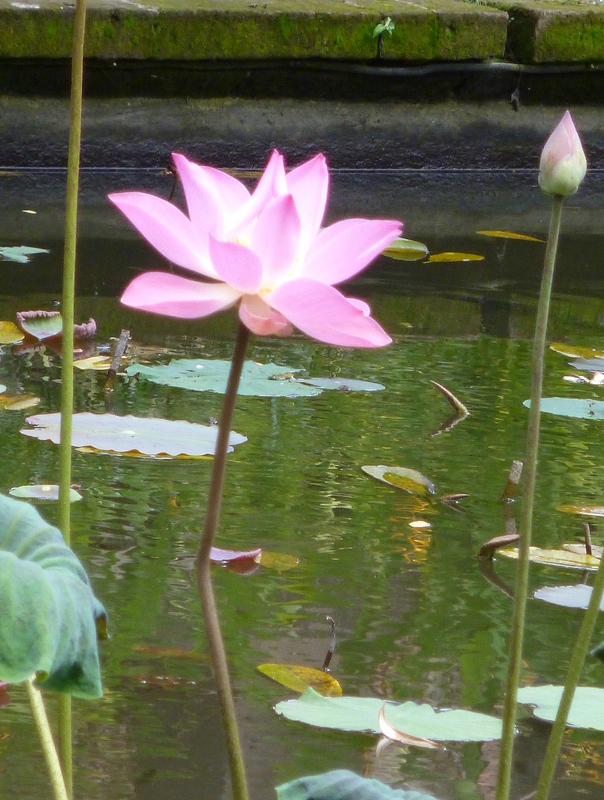 Although similar to the Indian beliefs, it is actually a combination of Hinduism and Buddhism. Their beliefs and customs are completely integrated into everyday life. 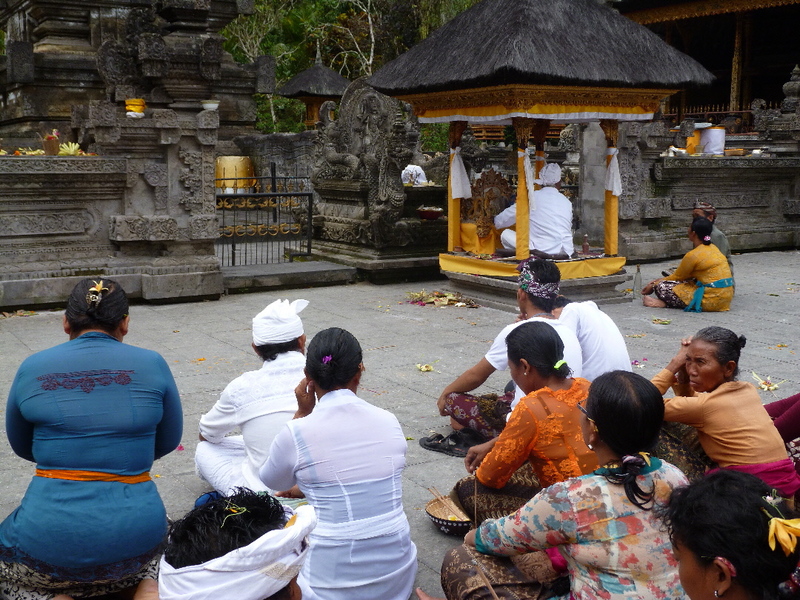 Bali has a ‘Mother T emple, each region has a temple, each town has a temple and each family compound has a temple. That’s a lot of temples!There is always a ceremony going on at one or more of these, so the community comes together often. And every day their Gods are thanked, along with offerings placed in the temples, at altars, in front of doorways, on tables, benches, almost anywhere you can think of. Weaving palm leaves together, the women create little baskets which they fill with rice, flowers, gum, cigarettes, whatever treat they can think of to offer. The doves and chickens are very grateful as they generally eat everything immediately. I didn’t see any smoking birds, but I am sure the cigarettes don’t get wasted either. The streets are motocross tracks. Any resemblance to roads is purely accidental. Motorbikes scoot back and forth at dizzying speeds, with whole families perched precariously on the tiny seats. Dad is navigating with his hands full of 8 foot bamboo poles…. mom balances a colourful basket on her head and a sleeping baby on her lap, older kids hang on seemingly without touching… It’s wild, but somehow it works. The bikes operate with radar like migrating flocks of birds. Bali has its share of crime, but in the smaller towns and villages, there isn’t any sign of it. The kids live a carefree life, they play innocently and without fear. Catching frogs in the streams, swimming in the ocean, playing games in a tropical paradise – sounds like an ideal childhood. The society is very family oriented and the children appear to have confidence and security. They are quick to smile, then shyly run off, giggling at the funny tourists. 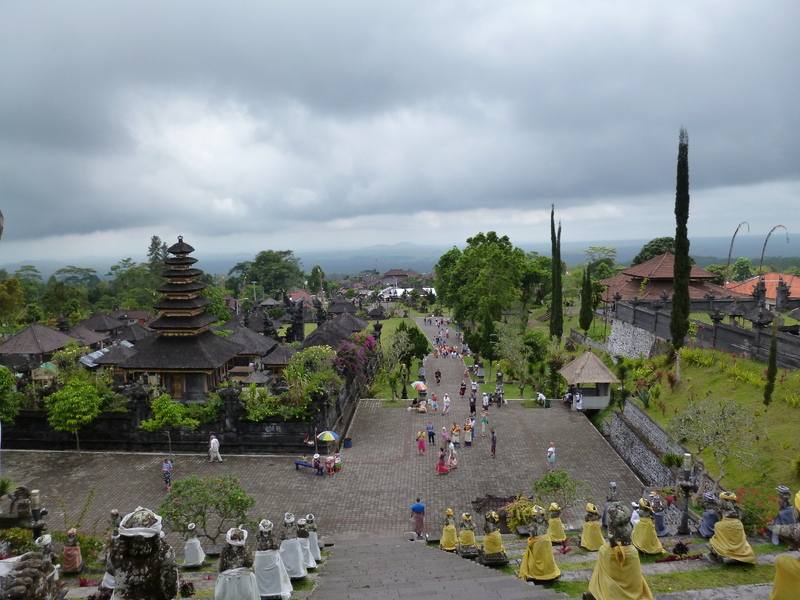 Bali is rich in scenery and culture, but what impressed me most were the light-filled people. They truly SHINE! Welcome to Taipei – airport that is! Enjoyed your write-up and photos Sue – looks fascinating – keep up de good work!! Thanks… the next one will be SOON! Stay tuned…. Thanks Sue, you know how to see the heart of a culture. I enjoy your postings. Thanks! I LOVE to explore new cultures and I’m so happy to be able to share my experiences.